https://www.cutoutandkeep.net/projects/mini-potions-cupboard • Posted by Tracy C.
I took part in a Harry-Potter-themed-craft challenge. 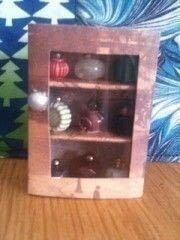 I decided to alter a small matchbox into a "potion's cupboard". 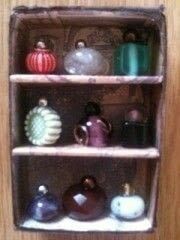 The "glass" is a piece of transparency and the potion bottles are made of beads.